8" diameter plate. 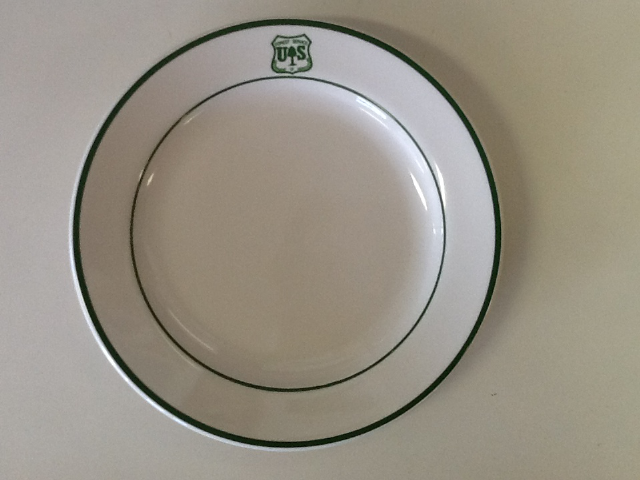 High quality, durable ceramic pieces like the Legendary dishware used for years by the USDA Forest Service in lookout towers, ranger stations and guard stations. Made in the USA.